Welcome to Holliston Spine & Sports Center! Our chiropractor, Dr. Michael J. Krupa, has helped hundreds of Holliston, Milford, Medway and Ashland patients recover from sports injury, work injury and auto accidents. If you suffer from back pain, neck pain, headaches, sciatica or other chronic pain, let Dr. Krupa put his extensive experience to work for you! At Holliston Spine and Sports Center, we have a special focus on sports injury and auto accidents. Too often, traditional medical care simply 'covers up' pain with prescription medication or patients are subjected to risky, invasive surgery. Dr. Krupa, a board certified chiropractic sports physician with a background in sports medicine, believes there is a better, safer way to manage pain. We are committed to whole body wellness. This means that while we relieve your symptoms (like back pain and neck pain), we also correct the underlying condition, helping you recover from injury and return to your athletic lifestyle. For patients who have suffered a sports injury, we know how frustrating it is to sit on the sidelines. Whether you are an active youth athlete or an older, weekend warrior, Dr. Krupa has extensive experience with musculoskeletal and soft tissue injuries. Natural wear and tear on the joints or a traumatic sports injury can cause the entire body to be out of alignment. If the injury does not properly heal, scar tissue may form, which leads to further pain and exacerbates the injury. Chiropractic adjustment is non-invasive, natural treatment that restores alignment and helps the body heal from within. In addition to care from our chiropractor, Dr. Krupa, many patients benefit from complementary treatments including physiotherapy and corrective exercise. We have found that most patients recover fastest when receiving chiropractic care in conjunction with complementary treatments. For example, many patients recovering from auto accidents find that they are stiff or cannot move their bodies comfortably in certain directions. Physiotherapy can help restore a full range of movement and motion to the body. Every patient is unique, and our Holliston chiropractor, Dr. Krupa, creates a customized treatment program based on each patient's injury and wellness needs. With our personalized approach to care, Dr. Krupa and our entire wellness team take the time to get to know each patient, along with his or her injuries, sources of pain, current lifestyle and wellness goals. We pride ourselves on being a "small town practice" where each patient is important. Our goal with chiropractic care is to restore proper alignment to the body, so patients can move freely and comfortably. If you have never received treatment from a chiropractor before, it's natural to have questions about how our whole body approach to care can help you. We invite you to explore our website, including the "Community Content" wellness resources and Dr. Krupa's blog. "The New Patient Center" also has tips on how to prepare for your first visit, a virtual tour of our practice, and payment information. Whether you are struggling with back pain, neck pain, headaches or sciatica, you do not need to continue suffering. Dr. Krupa and our wellness team are committed to giving you back your life. Our practice, in the heart of historic Holliston, is conveniently located to serve the Milford, Medway, Ashland, Bellingham, and Franklin communities. Our center has been helping patients for over 20 years, and was formerly known as Chiropractic Services under Dr. Steven Katz. Are you ready to be active and pain-free? 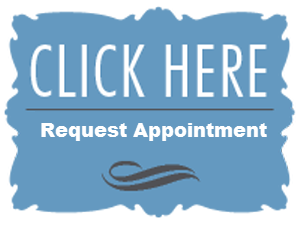 Set up an appointment today by calling 508-429-7293! Dr. Krupa was born and raised in Rhode Island and graduated from Coventry High School in 1998 before pursuing his college career. "I came in barely able to walk and was feeeling a million times better within a few hours of leaving the office. I highly recommend Dr. Krupa!" "I would recommend Dr. Krupa to anyone. His staff is wonderful and are the most helpful...He was able to help me to work again when no one else could. Definitely the best and most helpful doctor I have ever seen." "Great Job.... I love having my life back"
Please check for our Saturday openings and other office announcements on Facebook!